Who doesn’t love listening to Music & Watching Movies in best audio quality? If you want to enjoy the best audio quality, you can either go with Soundbar or Home Theater. I’ve already shared the Article On Best Soundbar In India and today I’m going to Share about Top 10 Best Home Theater System In India 2019. If you are buying a LED TV, you can get almost every features in it but most of the LED TVs lack in its sound quality. So, after buying a LED TV, it’s very important to get a Home Theater that will enhance your movie watching experience. Home Theater is easy to connect and not only with your TV but it can connect to any Bluetooth Enabled Device which is really great. You can Play Music from your Smartphone. Though you can buy Earphones, Headphones or Speakers to listen to music, you will only get Theater like feel only with the Home Theater Systems. They are easy to fit in your home and will give you real experience like Theater. Home Theater ranges from Rs.1000 to Rs.50,000 depending upon your budget. When it comes to Buy Home Theater System, there are many points to consider and some of the points are as follows. Subwoofers are basically speaker drivers or speaker components which are designed to reproduce very low bass frequencies. In 5.1 or 7.2 Channel Home Theater, the numbers after the dot represent the number of subwoofers. Eg: “5.1” means there is one subwoofer and in “5.2” or “7.2” there are two subwoofers. If you are looking to buy a Home Theater, the first thing to look into it is its Channels. You can find many different numbers like “5.1” or “7.1” while buying a Home Theater which can confuse you. Basically, in 5.1, you will get 6 channel surround sound audio system and a subwoofer that enhances the sound experience. Similarly, in 5.2 or say 7.2, there are 8 channel surround sound audio system and two subwoofers. Another most important thing to consider while buying a Home Theater is your Room Size. You cannot go with a large Home Theater for small rooms and Small Home Theater for large rooms. Always buy a Home Theater which is perfect for your Room Size. Connectivity defines how you will connect your Home Theater to the Device. 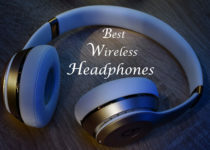 Bluetooth Connectivity is the most common nowadays that can be connected to any Bluetooth Enabled Devices. While buying a Home Theater, make sure it has SD Card & Pendrive Support. Though you can connect your Home Theater directly to your mobile, what if you want to Play Music from SD Card or Pendrive? So, make sure you get an SD Card & Pendrive Supported Home Theater. Finally, Build & Design is the point which you have to look for. You can go with the Best Home Theater design you like. Also, check for the Home Theater which has perfect design that can easily fit into your house. These were the Home Theater Buying Guide. You can use this small tip to select the Best Home Theater according to your needs. 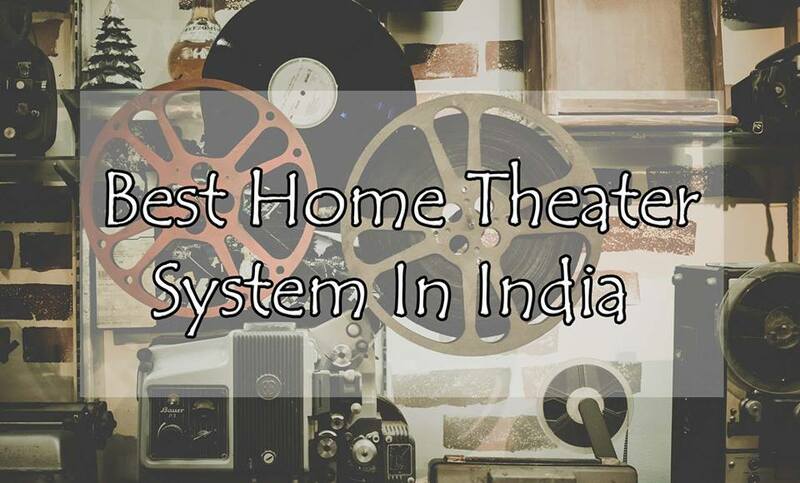 So, without wasting more time, let’s proceed further and check out Top 10 Best Home Theater System In India 2019. 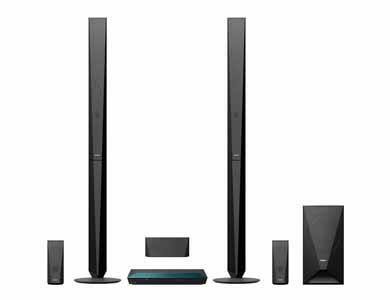 Sony HT-IV300/M-E12 Home Theater System is one of the most popular and Best Home Theater Systems In India Under 20000 Rupees. It is a 5.1 Channel Surround Audio Sound Home Theater which comes with enhanced sound quality. Sony is one of the Best Home Theater Brands In India and this one comes with great sound quality. Talking about its features, it has powerful 1000W output, Compact Size, Stylish Design, Connect to DTH, etc. It also has many connectivity options like Bluetooth, NFC, etc. Another most popular and Best Home Theater System In India Under 10k is Philips SPA8000B/94. It is a 5.1 Channel Surround Audio Sound Home Theater System. It has SD Card & USB Slot that helps in direct music playback from Pendrive or SD Card. This Home Theater is perfect for Watching Movies & Listening Music. Moreover, it comes with an FM Tuner and 8 inches High-Efficiency Subwoofer Drivers. It has a very stylish design and can be connected to any Bluetooth Enabled Device. 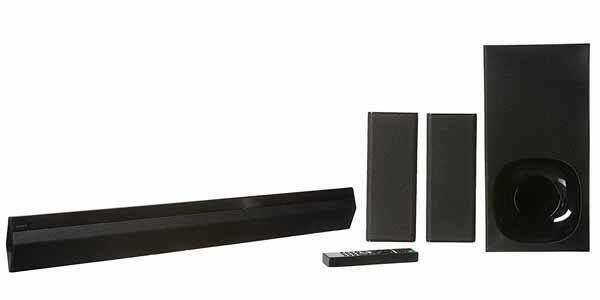 Sony BDV-E4100 is another most popular and Best Home Theater System In India with Wireless Speakers that can be connected via Bluetooth or NFC. With this Home Theater, you can enjoy surround sound with 5.1 Channel System. It also has Football Mode to get the stadium like experience. Additionally, the Home Theater comes with two tall speakers where you can watch videos and music from Sony Entertainment Network. 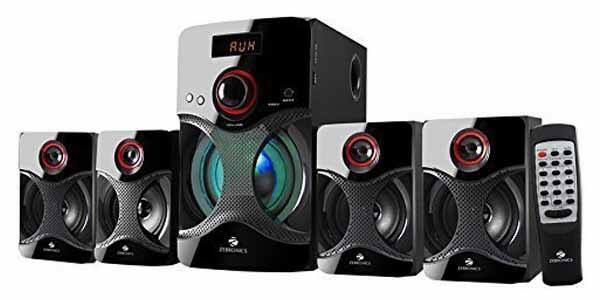 Overall, this is one of the Best Wireless Surround Sound System Under 30000 Rupees. Samsung is another popular Home Theater Brand In India. This Model, i.e. Samsung HT-J5100K/XL is a 5.1 Channel Home Theater System that can be perfect for your home. 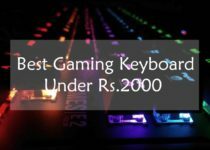 It has many features including Key Control, Karaoke Scoring, CD Ripping, USB Recording, Microphone with Music USB Record, Quick Start Mode, etc. Additionally, this Home Theater has a powerful bass that will boost the sound quality and you can also adjust your audio with equalizer settings. If you have a high budget for Home Theater, then you can go with Sony HT-RT5 Sound Bar Type Wireless Home Theatre System. It comes with a Wireless Connectivity including Bluetooth, NFC, Wi-Fi, etc. It has an amazing sound quality that can give you a real Home Theater experience at your home. Moreover, it has tons of features including Advanced Digital Cinema Auto Calibration, One-Touch Music Listening, Wireless Subwoofer, Football Mode, Wireless Streaming, etc. If you have a budget of around 50000, then you can go with this Home Theater. Sony HT-RT3 is another most popular and Best Home Theater In India With Wireless Speakers. It is a 5.1 Channel Real Surround Audio Sound Home Theater. It has a Bar Shaped Design that can easily sit near your TV Set. Talking about its connectivity, it can be connected easily with Bluetooth Enabled Device and also comes with NFC. Setup of this Device is very easy and you can set up this with HDMI ARC Output. Additionally, you can also enjoy direct music playback from your Pendrive as it comes with USB Support. Sony BDV-E3200 is one of the Best Blu Ray Home Theater System In India Under 30k. It has a Power Output of 1000W RMS. This Home Theater has a powerful and clear sound quality. It has Subwoofers of 18cms that will give you a high boost in sound quality. The Home Theater can be connected via NFC & Bluetooth and it also has USB Port to play music directly from Pendrive. Moreover, it comes with Built-in Wifi, Football Mode, 5.1 Channel Cinematic Surround Sound, etc. If you are looking for a Budget Home Theater, then here is the Best Budget Home Theater System to Buy In India Under 5000 Rupees. This Home Theater can be connected via Wire as well as Wireless. Connect it with your TV, Mobile or MP3 Player & Start listening high-quality music and videos. Furthermore, it comes with USB Port, SD Card Slot, 5.1 Channel Surround Sound, FM Tuner, Bluetooth Enabled and has a compact design that can fit anywhere in your house. Another Best and Cheap Home Theater In India is Tronica Republic Series 5.1 Bluetooth Home Audio Speaker. It is one of the most popular and highly rated Home Theater you can buy. It is a 40W 5.1 Multimedia Speakers that comes with USB & SD Card Slot. This Home Theater can be connected to any Bluetooth Enabled Device and can also be connected via Aux Cable. This Audio System delivers a high audio sound quality and extended bass for music lovers. You’ll also get a LED Display and Knob to adjust the Volume and Bass. Overall, this is another Best Home Theater Under 2500 In India. If you have a low budget, then you can go with this Home Theater. Zebronics BT4440RUCF is a 4.1 Channel Multimedia Speakers that come under 3000 Rupees. It is highly popular and used by many peoples. It comes with LED Display and a Knob on it that you can use to Adjust the Volume of the Speakers. The Home Theater can be connected with any Bluetooth Enabled device. Additionally, it comes with fully functional remote control, Built-in FM, and support for USB & SD/MMC Card. Overall, this is one of the Best and Cheapest Home Theater In India Under 3000 Rupees. This was the Article On Top 10 Best Home Theater System In India 2019 Review. Apart from this, there are many other Home Theater or Music System but here I’ve shared the Best out of them. These Home Theater can be easily connected to any Bluetooth Enabled Device that will help to directly play music from your Smartphone. Hope you liked this Article On Best Home Theater System In India. Do Comment below if you are using any other Best Home Theatre System. Stay tuned with Best To Purchase for more Products & Gadgets Review.